The Law Firm of Lloyd, McConnell, Davis & Lujan, L.L.P. was originally established in 1903 by Edmund D. Morrison, Sr. At that time he had an office located on the north side of the Washington square in Washington, Iowa. His son, Edmund Dunham Morrison, joined the law firm in 1933. In 1954 the law practice was moved to its present day location at 211 West Washington Street in Washington. James E. Lloyd then joined the firm in 1961. He is currently the senior partner of the law firm. Joseph L McConnell joined the law firm in 1977, followed by Craig A. Davis in 1990, Katie M. Lujan in 2001 and Eric J. Schmitt in 2018. The law firm has been a general practice firm from its inception and at the present places emphasis on estate planning and probate, agricultural law, real estate transactions, business law, taxation and family law. In addition to the five attorneys, the law firm employs a highly competent support staff of six paraprofessionals. 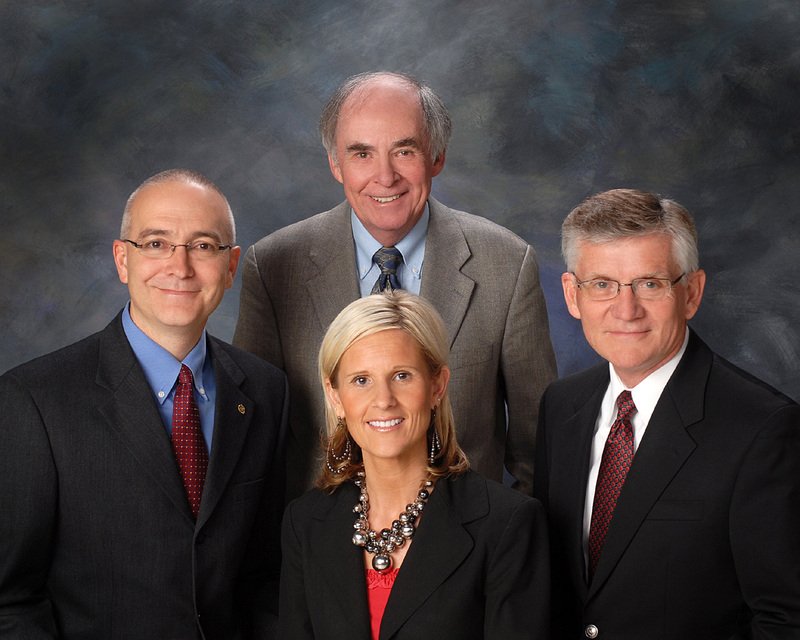 Lloyd, McConnell, Davis & Lujan, L.L.P. DISCLAIMER - The determination of the need for legal services and the choice of a lawyer are extremely important decisions and should not be based solely upon advertisements or self-proclaimed expertise. This disclosure is required by rule of the Supreme Court of Iowa. A description or indication of limitation of practice does not mean that any agency or board has certified such lawyer as a specialist or expert in an indicated field of law practice, nor does it mean that such lawyer is necessarily any more expert or competent than any other lawyer. All potential clients are urged to make their own independent investigation and evaluation of any lawyer being considered. This notice is required by rule of the Supreme Court of Iowa.